Hey, hi everyone! 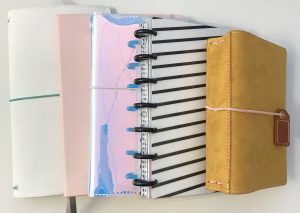 Jossie from The Wandering Planners here today showing you my planner stack! What is a planner stack, you ask? 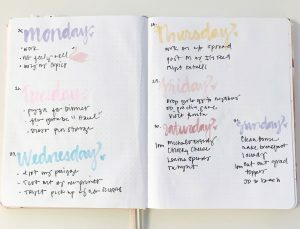 It’s a combination of planners and journals that are in use. I am currently using the ones pictured below. 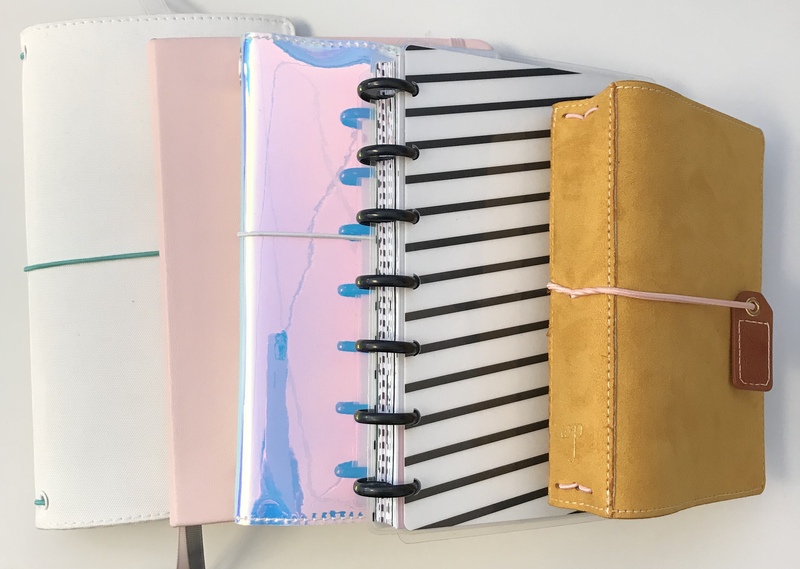 Listed from left to right: Jane Davenport Journal, Michael’s Recollections Pink Bullet Journal, Heidi Swapp Holo Journal, Mini Happy Planner, and last but not least, the Webster’s Pages small Travelers Notebook. Don’t let the size of this stack intimidate you! I know this looks like a lot, but I promise you I have a different purpose for each. Let me explain, the main planner I use is the Mini Happy Planner and I mostly use the monthly page. I like to see the big picture of my month and exactly what is coming ahead. I usually decorate it with a few stickers but mainly it’s strictly used as a working daily event planner. 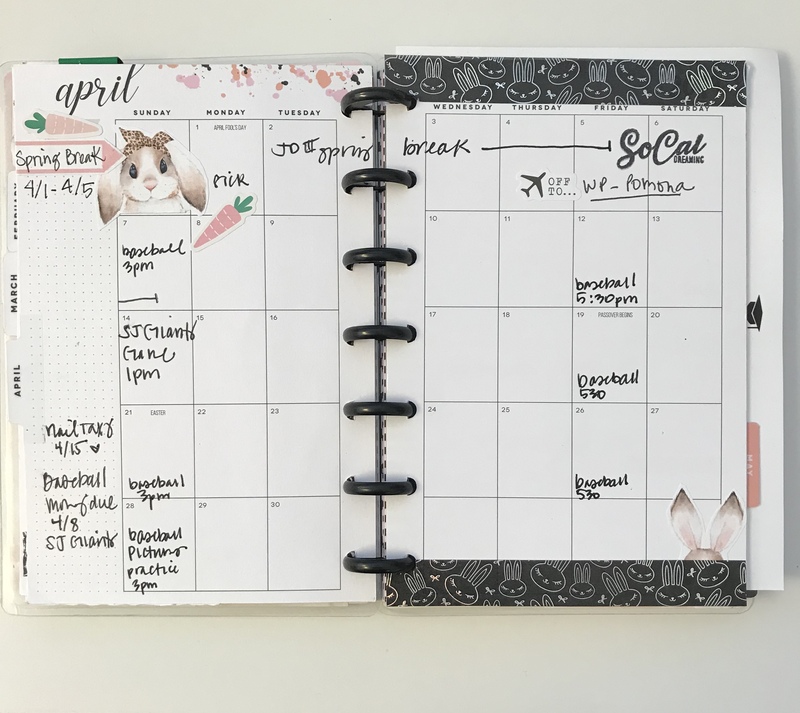 Here is my April 2019 monthly view. As appointments come up I keep filling my monthly view. It’s perfect because if something comes up I can see where I can add an appointment. 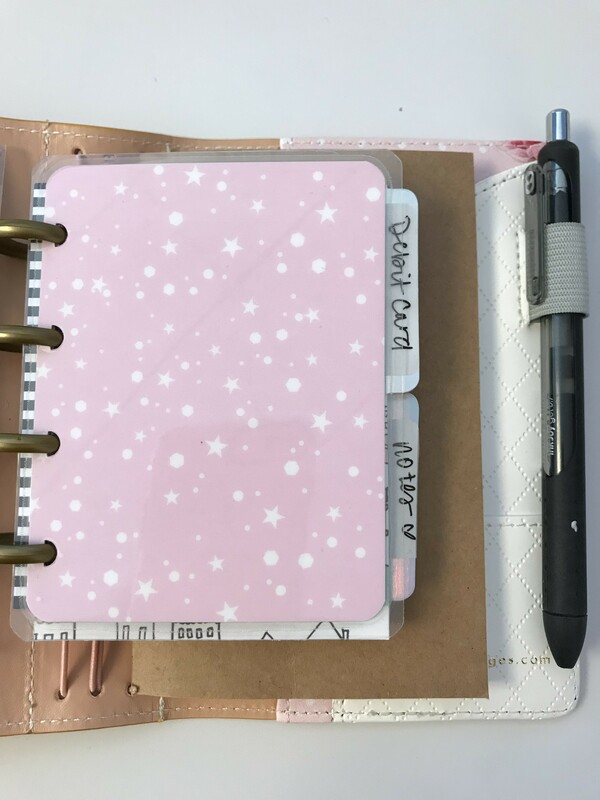 Next up is this tiny micro Happy Planner. I use this in my purse for tracking my debit card transactions and any notes that I would like to jot down. This micro is housed in my mustard colored Webster Pages. This next Travelers Notebook is only used to document my Wandering Planner events. 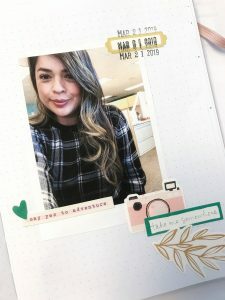 I document the fun and excitement of events and the planner girls I meet. Here is a peek I just made for our upcoming Pomona, CA event. I am super excited to meet new planner girls! You can find our So Cal stamp set here in our shop. This bullet journal is where I let my creativity out! 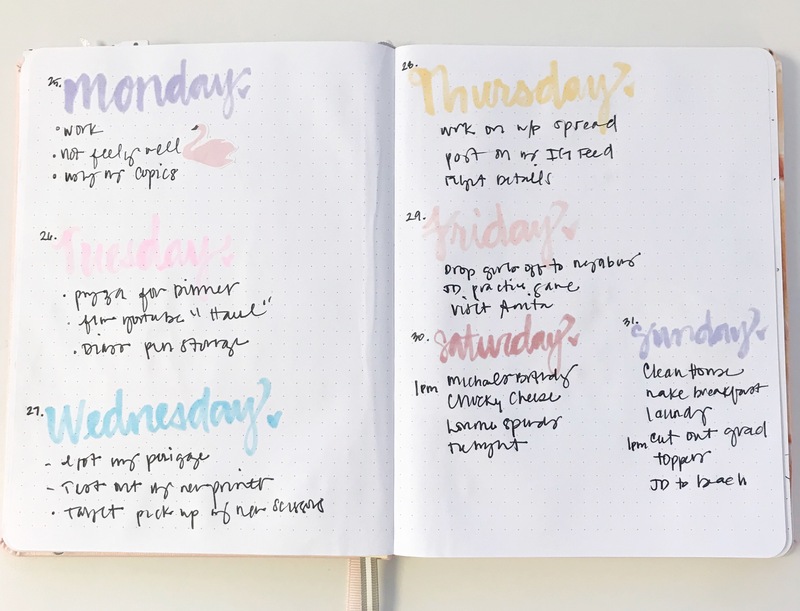 I track things, create mini layouts, and really plan out my week. In this layout, I am practicing my lettering. 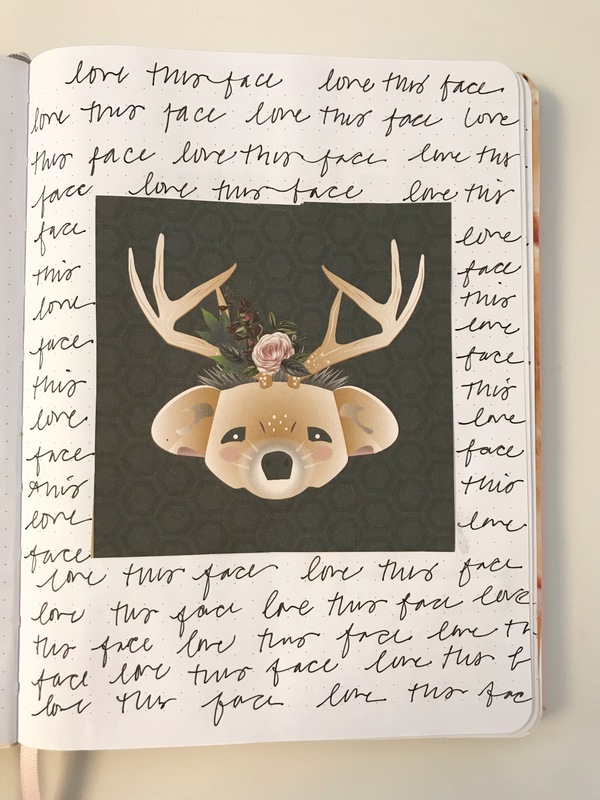 This bullet journal was only $5 and you can do whatever makes your heart happy in it! Honestly, this bullet journal allows me to create mini scrapbook layouts in my 15-minute work breaks. Next up is my Heidi Swapp holographic Travelers Notebook. This one stays at my desk and I calculate my fitness journey in it. 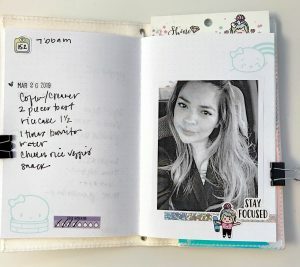 I track my weight, what I eat, and water that I drink. I will sometime go to the gym on my lunch and I will also document that, too. It helps keep me accountable. There you have it! 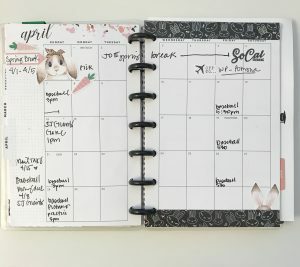 My planner stack! These planners/journals fit perfectly in the bag that I bring with me daily to work and crops. 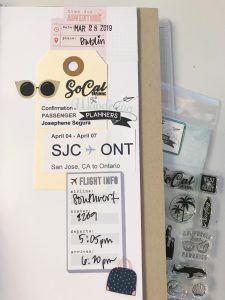 I keep spare inks, a stamp block, and stickers in my bag for on-the-go planning. If you have any questions, please feel free to ask and I can create another blog post answering your questions. Thank you for reading my post – I love to create and share what I make. When I am at our Planner Play Dates I get to share what I create and also take a peek into other planner girls’ planners and journals. I promise you everyone is nice and its like magic when we come together! 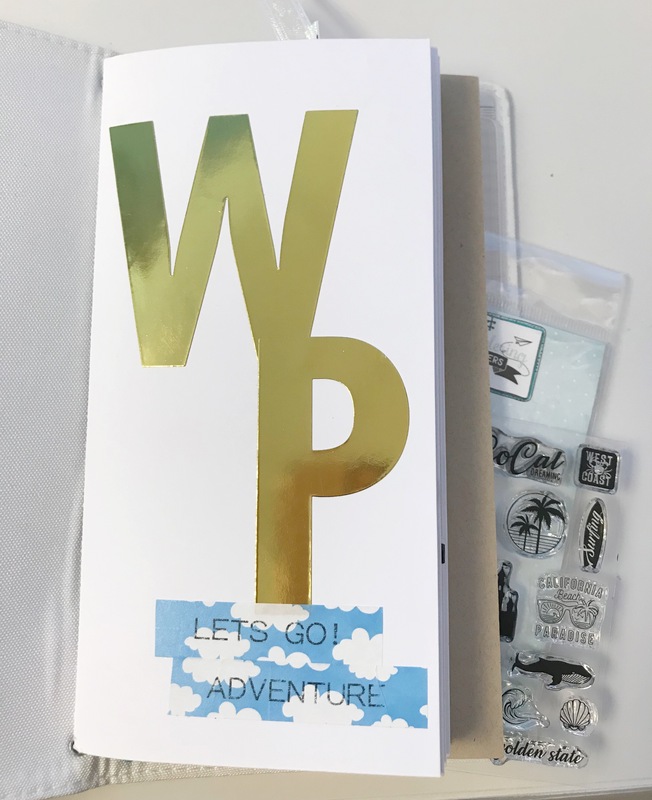 To see the dates of all our events and to plan your trip to a Wandering Planners event, click HERE so I can take you over to our website. We can’t wait to meet you!! 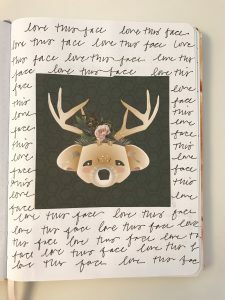 This entry was posted in Blog, Wandering Planners and tagged heidi swapp, Jane Davenport Journal, Michael's Recollections Bullet Journal, Mini Happy Planner, Traveler's Notebook, Wandering Planners, Webster's Pages Travelers Notebook. Nice planner ‘s. I never use stamps on mine. Something new to try.